This last month has been a great one for reading. 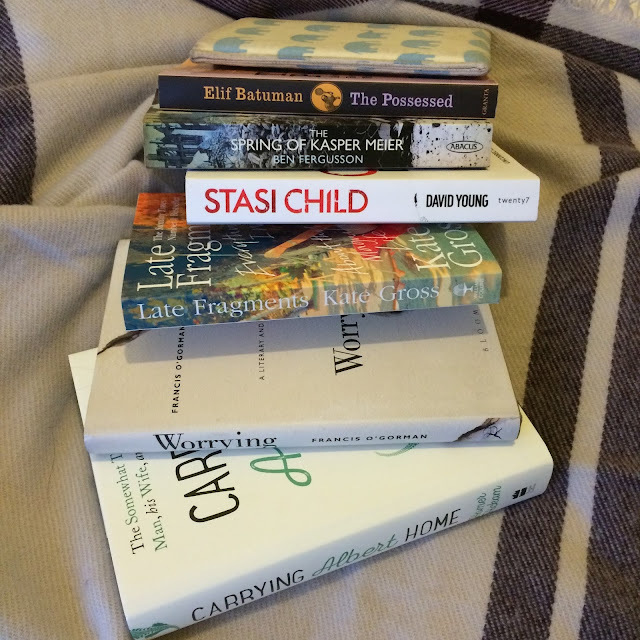 I've not read a particularly huge number of books, but what I've have been reading has been particularly wonderful. I started the month reading a fair bit of non-fiction and then slowly moved back to fiction after finishing Kate Gross's Late Fragments, which left me needing a bit of escapism. I then ended the month on a high by finishing Carrying Albert Home, a new release which has found itself firmly in my 'feel-good favourites'. I loved getting my teeth into more non-fiction this month and I can safely say that I'm definitely a convert - a far cry from this post a couple of years ago! Although I didn't read the full pile I was hoping to get through, I read some corkers and I'm very glad I treated myself to Worrying at the beginning of the month. What was your favourite book you read in November?